The Raging River Trading Co. Possibles Pouch has a 1000 denier Nylon Cordura outer shell and a 110 denier nylon water proof liner. It is 9x4x4-in. It has a No. 9 coil zipper and webbing stops at end of zipper. 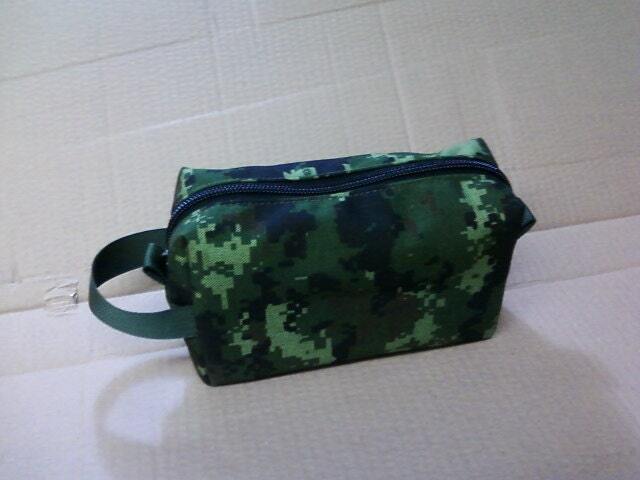 It is the same pouch as the others listed here but in the Canadian CADPAT digital pattern.